If you’ve read my post “Don’t Judge a Book” (deconstructing books in DIY design), you know I’ve been researching ideas to update my multi-purpose Home Office/Guest Room/Meditation Space. Determined not to spend a dime on the project, I shopped my house for ideas. My eyes landed on a few tattered but well-loved books on my shelf that I’ve never been able to part with. 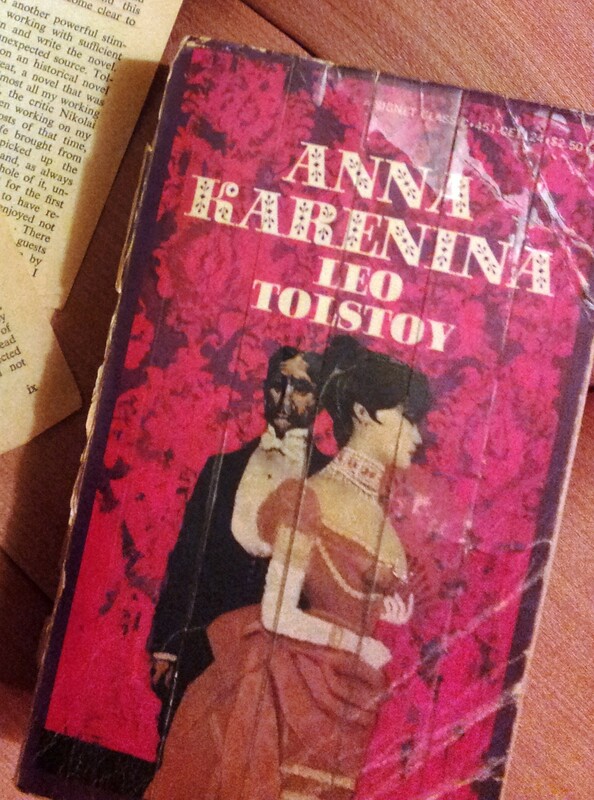 Leo Tolstoy’s Anna Karenina was the cautionary book we were given in an all girls Catholic high school. Yet I found in her a kindred spirit, as I did again later when I watched Ryan’s Daughter, based on Gustave Flaubert’s novel Madame Bovary, and DH Lawrence’s Lady Chatterley’s Lover – the young women who dared reach outside their familiar in search of something more in life. Until recent years such journeys in literature and film often led to their heroine’s demise, or at least to the loss of status and respect with a very public humiliation. Throwing these books away would have felt like adding to the insult. 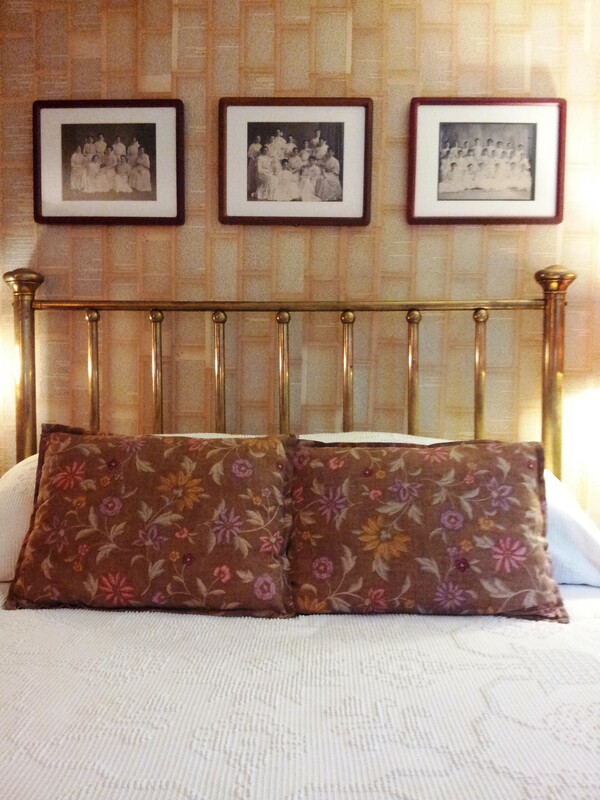 The pictures above the bed are of my grandmother and great aunts in their high school days in the very early 20th century. 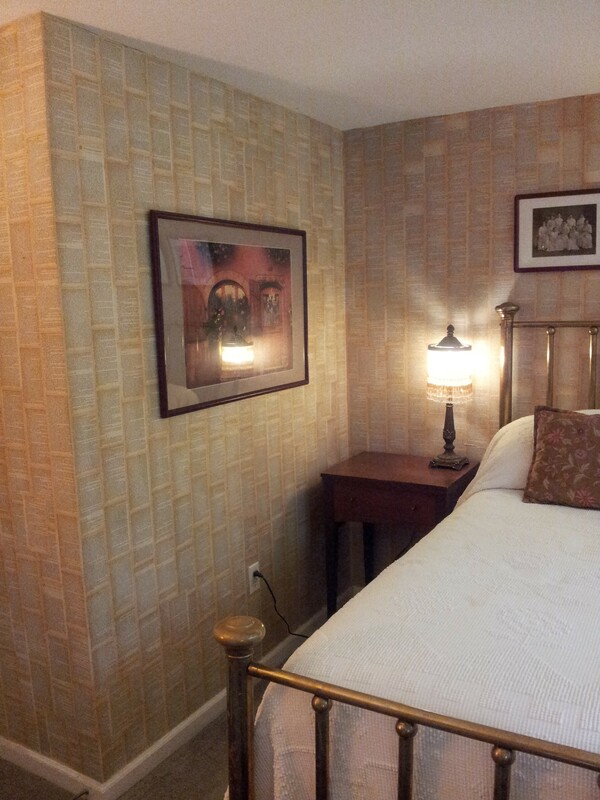 It’s a gorgeous space, my darlin’! I love your imagination! Readers and writers make great couples! We never run out of things to talk about that’s for sure. I can’t wait to post what we have done ’round here inspired by living with a writer! « Sinead O’Connor has been my DIY partner for years!